Based on manga series "Inuyashiki" by Hiroya Oku (first published 2014 in Japanese seinen manga magazine Evening). Yui Jan 10 2019 2:55 am It's strange to watch Takeru Sato as antagonism. He has track record as a hero for so long. I can't imagine Takeru Sato as a bad guy wkwkwk but his acting is good as always. me since it's too comical that I'm irritated to watch it. Mélanie Jul 24 2018 9:45 am I Watch the movie last night it was really good, but I was wondering, The man who was playing Hiro's father seems familiar, who is he? Thaniuss Jun 06 2018 6:52 pm Yesterday, he save Japan from another AJIN. Today, another cyborg save Japan from him. Takeru Satoh. Pretty Lai Apr 26 2018 3:11 am This one looks so promising. I want to watch this one so badly. lenta Feb 24 2018 2:42 pm actually the voice cast of the anime are the actors, not seiyuus. kanata hongo was the seiyuu for Ando and now he play the role. 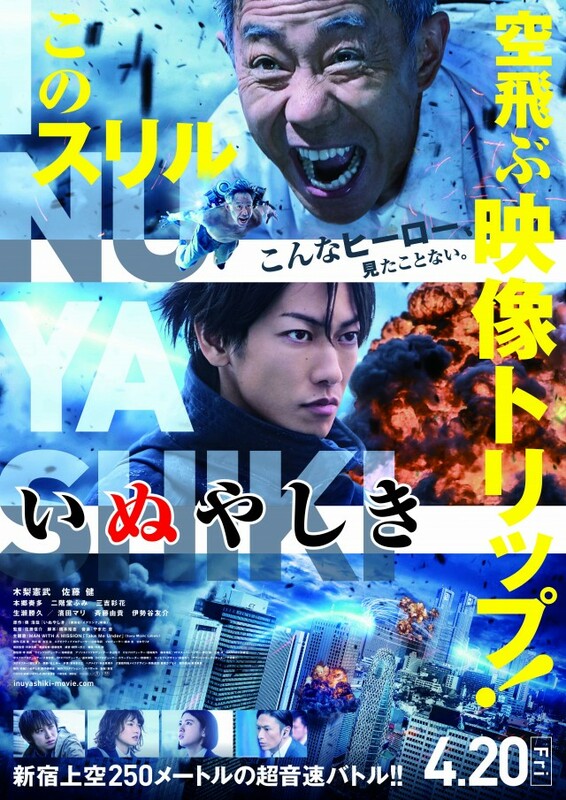 Nice Jan 21 2018 6:56 am "Ichiro Inuyashiki attempts to save Japan from Ichiro Inuyashiki." I got confused and oh, Takeru led me here. DHA Nov 12 2017 9:48 am Hongo's in this?!? Fitting since he did Gantz (by the same mangaka) six years ago. Has it really only been six years? Wow... Feels like it should be longer. keanunegi Oct 25 2017 8:51 am Satoh said in an interview that he wants to play a psychopath next, I bet he didn't know his wish will be fulfilled so soon, can't wait to see him as a ruthless killer. Leviosaelm Oct 12 2017 8:54 am Satoh is going to play the villain for the first time, he can do anything, seriously I wish he was from my country, actors in my own country in their twenties cannot act like this. Ran Mar 23 2017 8:59 am Totally agreee. I just like omg takeru, omg kanata, omg fumi, omg yusuke!! Omg omg omg! Cant wait!! Kira Mar 20 2017 6:35 am Darn! Agree with below comments. Great list of cast they have here. Can't wait for the teasers!